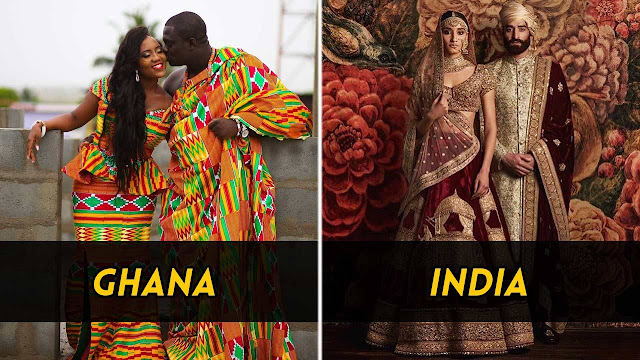 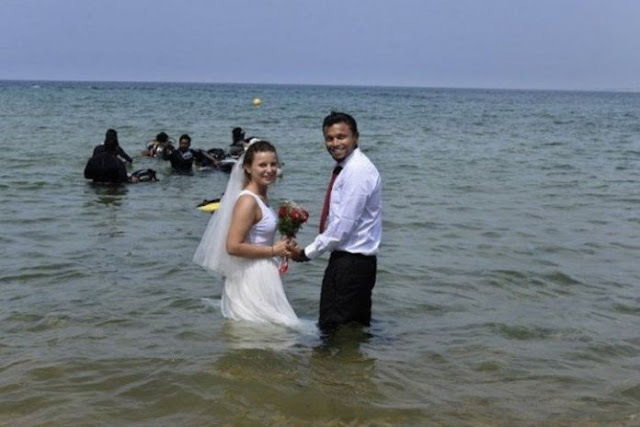 Home camera creative entertainment family Girls Guys Inspirational Interesting love nature news recent relationship slider video Viral Section India’s 1st Underwater Wedding Took Place In Kerala And The Images Are Beyond Beautiful! 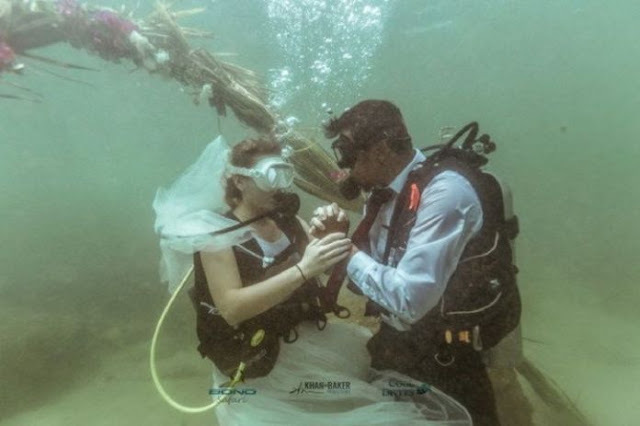 This story is going to burn more bridges than it built. 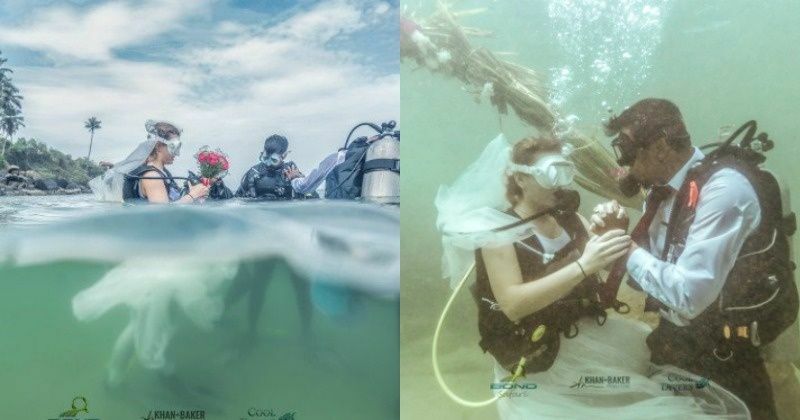 So, India’s first underwater wedding just happened in Kerala and the images are super cute. 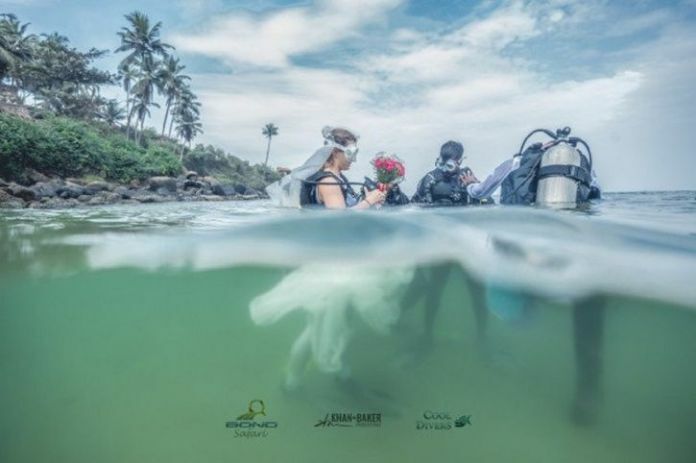 The idea of proposing someone underwater has been quite prevalent in the west, but this is India’s first official entry in the list. 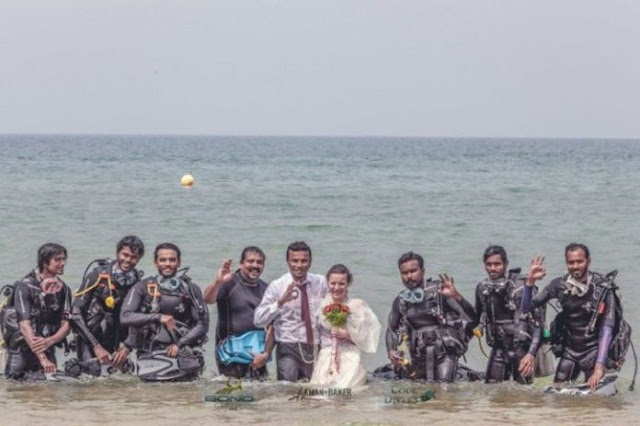 #2 This happened under the Arabian Sea at Kerala’s Grove beach on Thursday. 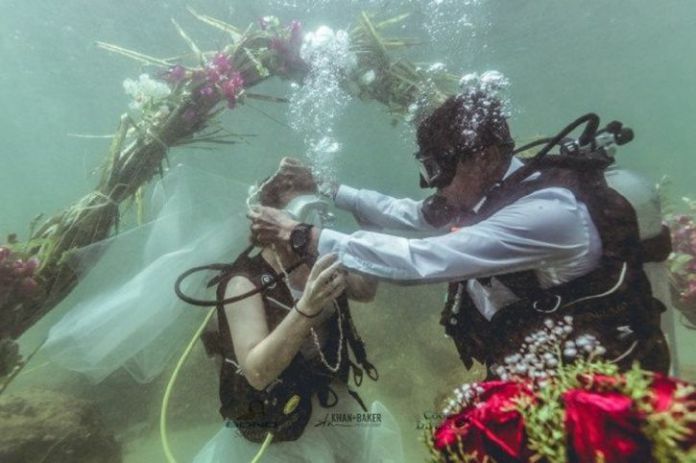 #4 The ceremony took place 4 meters under water. #5 And to top it all, their friend doubled up as a priest. 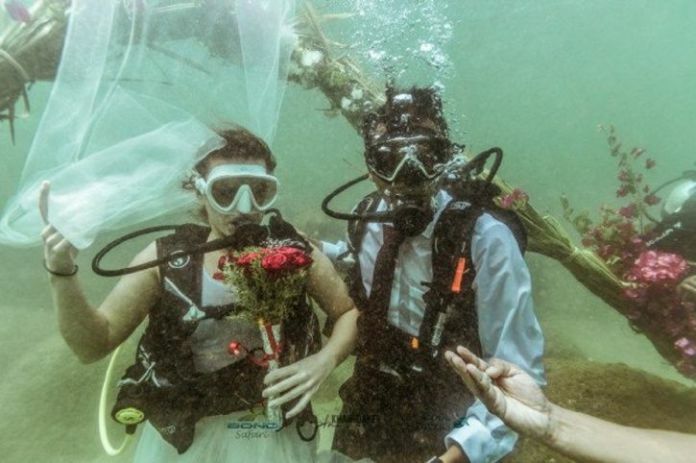 #6 They took off their mouth-pieces and kissed when the priest held up the placard – ‘You may now kiss the bride’.